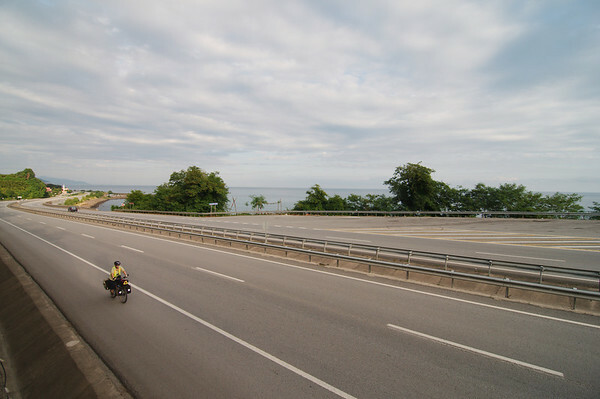 Where we did not feel safe at all, were the multiple tunnels along the highway between Samsun and Trabzon. The tunnels have no shoulder, are often dark, and are lined with storm drains that are parallel to the road. This meant that every few dozen metres we'd have to swing out into the traffic to avoid getting a tire stuck in the storm drain. The traffic did not slow down at all, in fact it seemed like everyone sped up. Every tunnel was a huge stress. So when we read that there was a 4km long tunnel along the route we decided to avoid it by taking the longer and hillier coastal road. 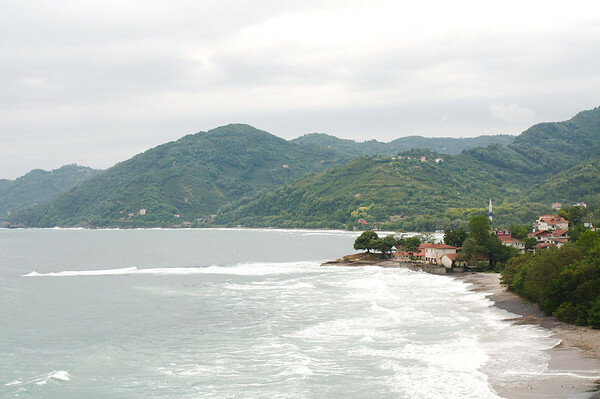 We rode an extra 20km and climbed a few extra hundred metres but the coastal road was scenic and virtually traffic-free. 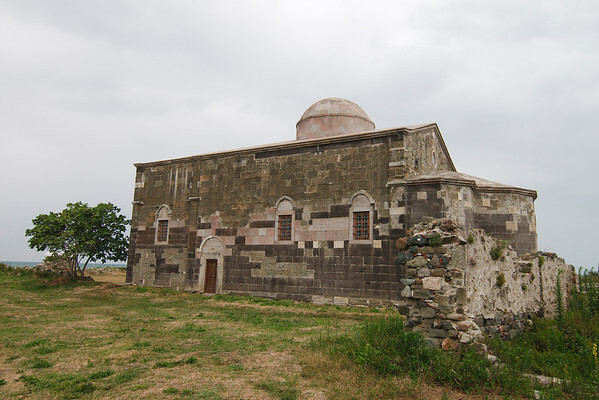 We even stumbled upon a local tourist attraction, the Jason Church, a 150 year-old Greek Orthodox Church that sits isolated on the edge of the Black Sea at Cape Jason. Our arrival into Trabzon was a little bit hectic and we got lost navigating back streets, trying to avoid the heavy highway traffic that runs through the busy city. I was pretty anxious, and I was mad (unjustifiably) at Yann for taking us through steep, cobblestone side streets right after Friday afternoon prayers when the streets were packed with pedestrians. 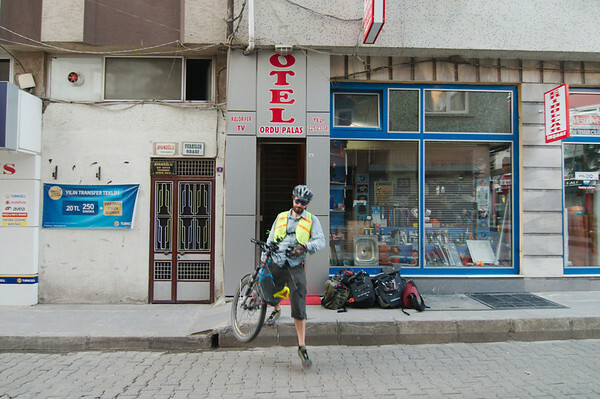 We arrived at Atatürk Square (the centre of Trabzon), frazzled and grumpy but were greeted by Mike and Heather, a pair of Australian cyclists who led us directly to the hotel from where they had just checked out. With no work at all we had a great, cheap room and a place to store our bicycles! 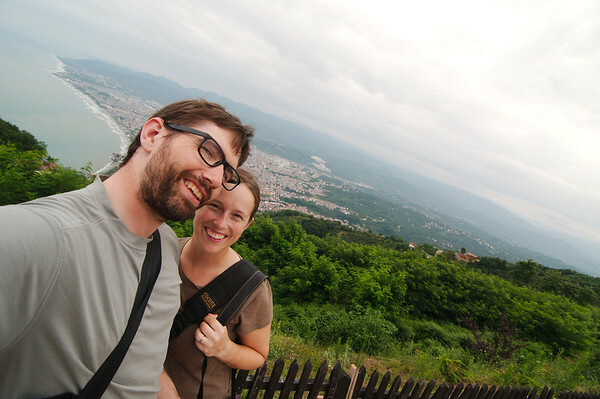 We opted for 3 whole rest days in Trabzon (our longest rest yet), not because we were particularly tired, but because we thought we could slow down a little bit. 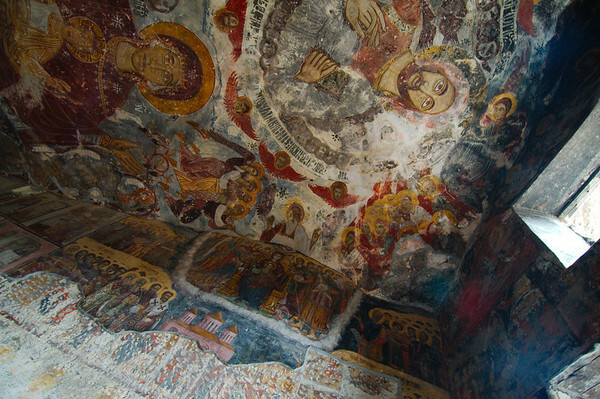 Trabzon's star attraction is the 4th century Sumela Monastery, 45km away and 1200m up from the city (no we did not cycle there despite Yann's wishes). 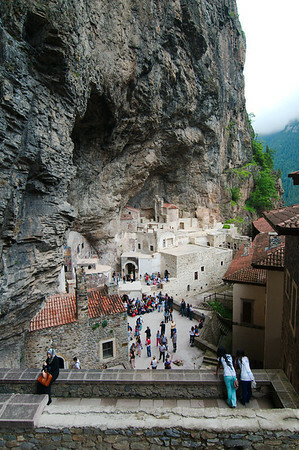 We visited on a Saturday, which was kind of silly seeing as we were in Trabzon for three days. 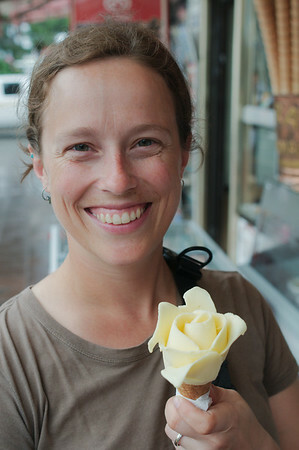 It was extremely busy, but that didn't detract too much from it's impressiveness. 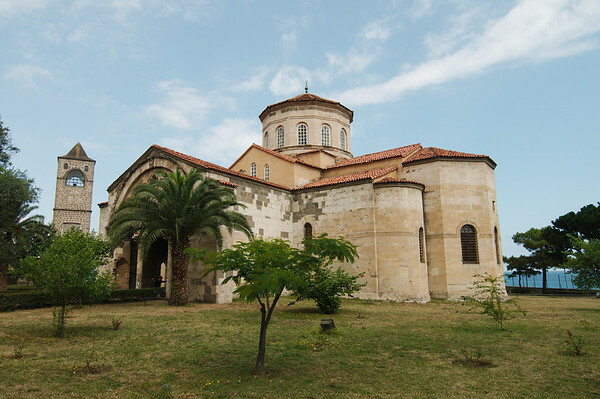 Other than the monastery, Trabzon has it's own Aya Sofya church, which we visited in about an hour, and not much else. So we don't feel too bad about hanging around relaxing and not doing much but enjoy our last few days of Turkish food before heading into Georgia. also you're getting too skinny for your ring.